Spring is approaching, even though it might not feel like it is, and with it comes many holidays to celebrate. We just finished Valentine’s Day, now it’s time to get ready for St. Patrick’s Day, and before you know it, it will be Easter! For St. Patrick’s this year I didn’t want to do the classic shamrock that everyone has seen a billion times, so I came up with this design that isn’t so blatantly “St. Patrick’s” but still relates to the holiday. 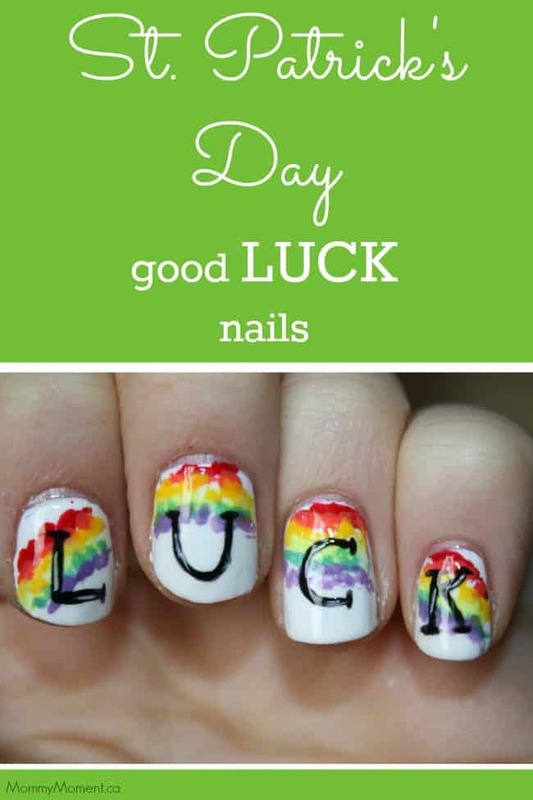 This St. Patrick’s Day “LUCK” nail design is super easy to do and is a unique look that I haven’t seen anywhere yet this year. To make the rainbow I just used the brush from the bottle, brushed it off so there wasn’t much polish left on it, and made spots on my nails with it in an arching shape. I repeated that with the other colours of the rainbow, overlapping them slightly until it was complete. 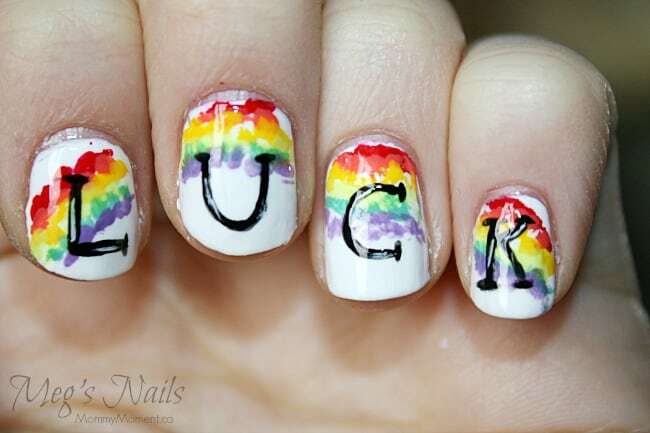 To spell out LUCK I took a thin brush and dipped it in my black polish. The key is to take your time, and to have good lighting so you can see every detail of what your doing. I use a lamp with a light that I can bend over my nails when doing designs so I don’t make a mistake just because I can’t see well. I added a little bit of white over the black outline of the LUCK so it didn’t look as harsh. Make sure you don’t have too much polish on your white stripper and add a few lines of it inside of the black. Then you add your top coat and you’re done!